_ [仕事][電波][旅] TGub Japanese night. 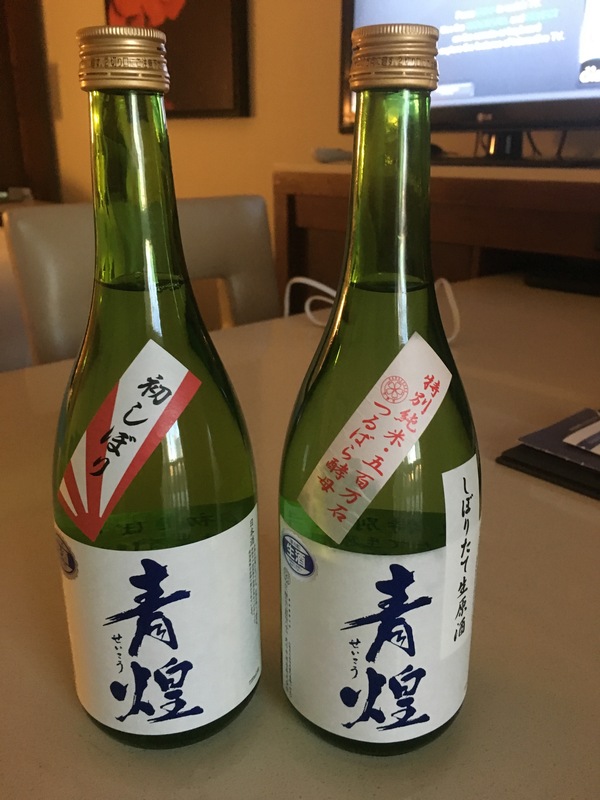 In the morning I picked up two bottle of new brewed Japanese Sake for IEEE802 TGub which will be held in Atlanta, I left Narita to Atlanta via LAX in the afternoon, and I came to LAX in the second morning of the same day. I had enough transit time at LAX today, and it was really good for me to draft the required research report. Also I could spend enough time to draft the research report during the flight from LAX to ATL. Finally I arrived at the hotel at Atlanta around 12PM. I have to attend IEEE802 interim meeting from tomorrow Friday, but moreover I have to attend some conference call after or before typical office hour. This is no problem for me if the meeting makes good progress during this week. However, I have one serious concern about this tight schedule. The problem is the SAKE! This time, I brought not only new brewed Japanese Sake, but also I brought my home made pickles and Karasumi. Therefore I need to find time to drink up and eat those during my stay in Atlanta. I may call for participation to the TGub Japanese night. Please contact me if you have an interest in it.